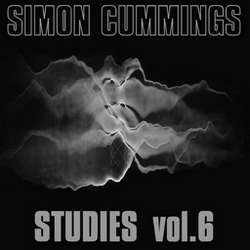 Later today i’ll be jumping in the car to begin my annual pilgrimage to the Huddersfield Contemporary Music Festival, and it seems appropriate to conclude this week’s revisiting of previous years with mention of a recent CD featuring two larger-scale works that both received their first UK performances at last year’s festival. It’s pretty common to hear new music at HCMF and then lose all sight and sound of it for years afterward, due to a lack of further performances on these shores or a CD release. 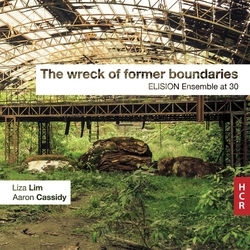 So it’s unusual and enormously welcome that within a year of hearing Australia’s foremost contemporary music ensemble ELISION perform Aaron Cassidy‘s The wreck of former boundaries and Liza Lim‘s How Forests Think, both are available on a CD released by Huddersfield Contemporary Records. Moreover, the recording is of that very same live performance at HCMF 2016 which, considering how exciting and immersive that concert was, makes it even more of a treat. i discussed both pieces at length in my original review of the concert, and while this isn’t a new performance, this recording offers a fresh perspective of each piece, one that at times draws significant contrasts with the experience of hearing them live in St Paul’s Hall last November. Lim’s piece in particular left me with a lot of questions and concerns, some of which have been addressed by the CD. i previously felt that How Forests Think was significantly different from the majority of Lim’s previous work, but i can’t help wondering whether this was influenced by the visual aspects of the performance. As a purely aural experience, it’s very much in keeping with what one has come to expect from her, particularly with regard to fine networks of filigree counterpoint, an imaginative approach to instrumental techniques, and above all to an abiding, heartfelt lyricism. The lyrical quality of How Forests Think is sumptuous and heady, but at the same time alien, as though it had been beamed to us from the far future. Often, it’s focused on the sheng, and i still think that these passages are the most immediate and beautiful in the whole piece; Lim really should write a solo sheng piece as soon as possible. Furthermore, a question i’d had about whether the sheng truly blends with the rest of the ensemble is now unequivocally answered: it does, especially in the last two movements (‘Pollen’, ‘The Trees’), in conjunction with marimba and cor anglais respectively. And that ending that seemed so discombobulating (i likened it to a “new age improvisation”) is entirely innocuous when heard and not seen. Personally, i still have some problems with the piece – second movement ‘Mycelia’ is more clear here than it was in the concert hall yet its actions still often seem impenetrable – but as a whole it gels and coheres with a real sense of unity. i still have reservations, but i’m nonetheless a lot more convinced. In turning to Aaron Cassidy’s The wreck of former boundaries, it’s relevant and necessary to comment on the quality of this live recording. It is formidably clean and vivid which, considering how expert HCMF audiences tend to be in unbridled expressions of bronchialia, is no mean achievement; on the entire disc i heard only a single cough. Such pristine lucidity as this is vital for Cassidy’s work, due to the nature and the deployment of its materials. On the one hand, the complaints i heard from a number of audience members in the wake of the performance all referred to it being, i kid you not, “too loud”. 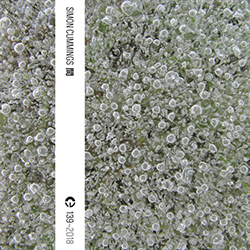 Considering the kinds of sonic barrage that HCMF has witnessed – including last year’s mindless blarings from Peter Brötzmann, and the glorious all-enclosing noisescapes of Zbigniew Karkowski in 2015 – this complaint was complete nonsense; ELISION would have had to have seriously upped their game to compete in terms of sheer volume. Yet on the other hand, i suspect what the naysayers may actually have meant was that its combination of intensity and detail were sufficiently overloaded as to create the equivalent, from a listening perspective, of clipping. There are times when Cassidy deliberately saturates the ensemble’s bandwidth, but this recording greatly clarifies this in two important respects. First, it makes even more apparent the welter of details in the material; and second, it highlights just how restrained Cassidy is throughout the piece. It actually only has two full throttle climaxes, at the beginning and end, and only the latter of these piles things up in extremis. As for the rest, what’s most impressive in this recording is not just the details but their intimacy. The stereo soundstage has each instrument carefully placed in its own identifiable position, making the players sound as though they’re just beyond the speakers, with each and every sound, gesture and line – even when there’s a multitude of them – focused and crystal clear; and the same goes for the electronic part, which is superbly balanced against the instrumental forces. It’s a staggering achievement to capture a piece of this complexity with such fidelity (the only equal i can think of is ELISION and Cikada’s 2012 disc of Richard Barrett’s DARK MATTER), and it provides a perfect complement to the concert hall: there we experienced the shock; in the recording we experience the awe. Given the very kind comments about the sound quality, I just wanted to give an acknowledgement to my colleague Alex Harker, who was the recording engineer for the project, and also to Jim Atkins, who mixed Liza’s piece and mastered the disc. I did the mixing and editing (full disclosure: we did a few post-concert retakes!) for my piece. Alex’s role deserves particular mention because of the ridiculous complexity of having to use the same mics for a) the CD recording (Alex & his gear were backstage), b) the BBC Radio 3 feed (out in the truck, mixed separately for their own broadcast), and c) the live amplification in the hall (through the PA desk). The logistical complexity was mind-bending, and Alex handled it brilliantly! It’s rare that a tangible recording exists of a concert I actually attended (moving from the arguably sublime to the (consciously?) ridiculous, I’m only aware of one other instance – Muse’s H.A.A.R.P. ), and…hmmm…in light of both your review and Aaron’s clarifications, I’m going to have to buy it now, aren’t I? I hope it renders the comment I appended to your original review nonsensical, Simon, I really do…!